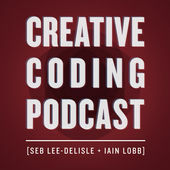 Jake recently joined Iain Lobb of the Creative Coding Podcast to talk about the development of Regency Solitaire, our new game Shadowhand, and running a games business in general. Follow this link to have a listen. This entry was posted on Tuesday, June 28th, 2016 at 6:07 pm and is filed under My Interviews. You can follow any responses to this entry through the RSS 2.0 feed. Both comments and pings are currently closed.